That left just enough time to design the inter-connects for the dv-node adaptor. 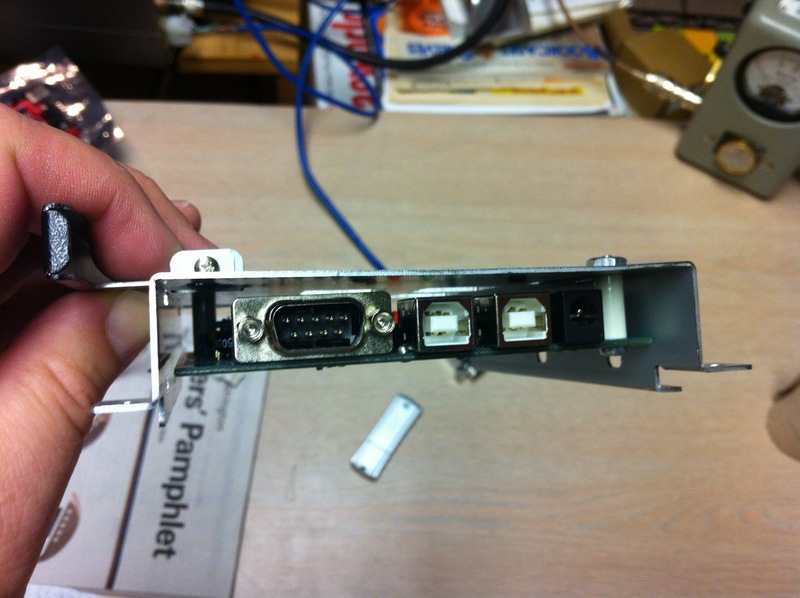 Now that the dv-node adaptor is inside the repeater PC case, I need to run the connection out to a 6pin DIN header and then make a 6pin DIN to weird molex connector cable. (Thanks to Jeremy for the 6pin bulk head connectors) I’ve found that actually writing down how it is all going together, including a wire color chart, before making the cable saves lots of head aches. Plus, I then have a record to refer to later if something breaks. Posted in Uncategorized | Comments Off on Datacenter Outage…. Another Google Plus update, which I’m cross posting. 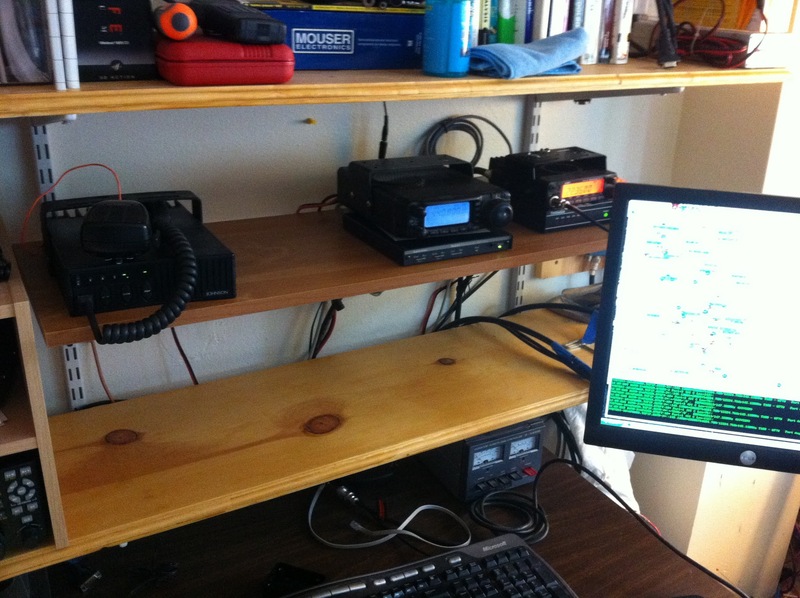 Had a strange thing happen recently in the ham radio shack. I got a e-mail from the local guru (thanks Bob!) that I wasn’t beaconing anything on either 70cm or 220 9600 APRS. So I started poking around and found the 70cm radio wasn’t happy. I made sure the RF was going out and then noticed the radio wasn’t TX when the TNC said it should be. After checking all the cables and settings, it appears the 9600 baud side of the data port is ‘broken’. Transmitting from the microphone OK and so is the 1200 baud side, but no go with 9600. 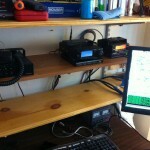 Posted in Uncategorized | Comments Off on APRS Digi Update…. I posted this on Google Plus a couple weeks ago, but decided to repost it here. I’ll eventually do a full write up of the final configuration, but this is a nice little update. Just finished the basic tests of the D-Star node adapter, installed on the actual linux computer that will run the repeater. I finally came up with a way to mount it inside the computer case and ‘made’ the mounting bracket yesterday. Just got the NATools working and confirmed it is decoding and transmitting. 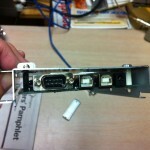 The node adapter mount turned out better then the CF card mount I made. I decided to go CF card HD after seeing John-K7VE’s setup. 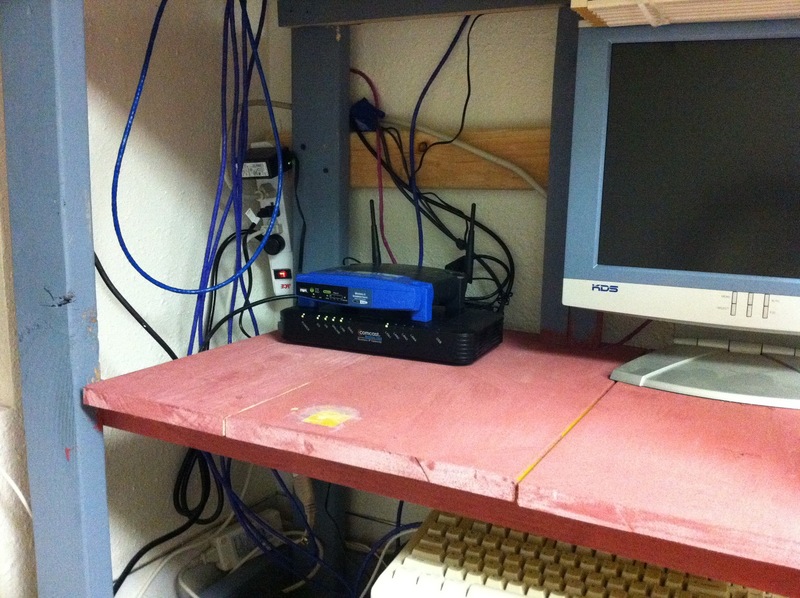 I still need to route the radio interface out to the back of the computer, right now the lid is open an inch to allow the cable to exit. But Jeremy-NH6Z sent me some chassis mount connectors that will solve that problem. Oh yea, the node adapter is mounted under the drive sled, you can just see the USB plug at the end. When I realized there was enough room UNDER the slid, it wasn’t hard to add a couple extra holes. The CF card reader is velcro’ed to the hand-made mount, which was made out of the CF reader package. Re-use man! You can just see how the card was mounted with the spacer in the middle right of the picture. The nice side effect is the PC case now puts off this pretty blue color from the node adaptor power LED. 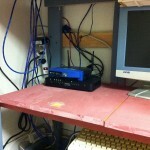 Posted in Uncategorized | Comments Off on D-Star Repeater Update…. On the last day of Nov, it is sunny in Seattle. I find that odd. I open the window in the man cave this afternoon and the sun is so bright, I can’t hardly see the computer screen. What is up with that? Diner is done. Turkey consumed. Begin nap phases…. Manage to hurt my leg again tonight at TKD. This working out stuff is very dangerous, they should have warning labels or something. Reading twitter via my Fire – really liking it!